Short Track tables - Action at every turn! If you love yelling “All-in” at the table, you’re going to love Short Track cash game tables. At Short Track tables, every player sits down with a buy-in of 5 big blinds. With these stack sizes, just like in short track ice-skating, the action comes thick and fast with every decision becoming a shot of adrenaline when stacks could fly into the middle at any moment. 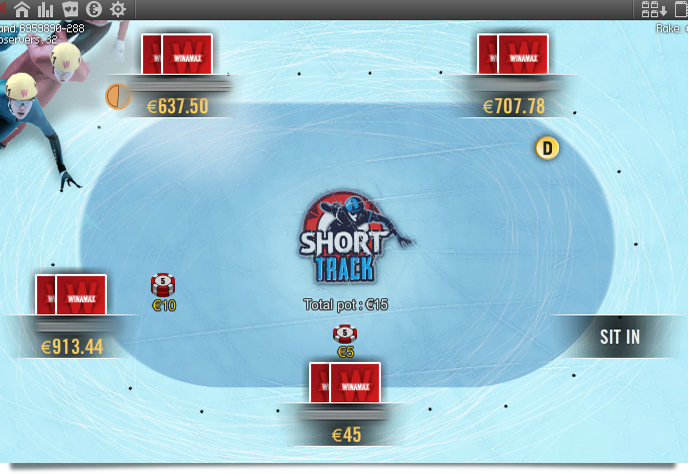 Short Track tables are available in No Limit Hold’em with blinds starting at €0.01 - €0.02 up to €25-€50. At the smallest table the buy-in is therefore just 10 cents! Head to the main lobby and click on the "Short Track" button. Choose a table with the blinds you wish to play and start your Short Track session! 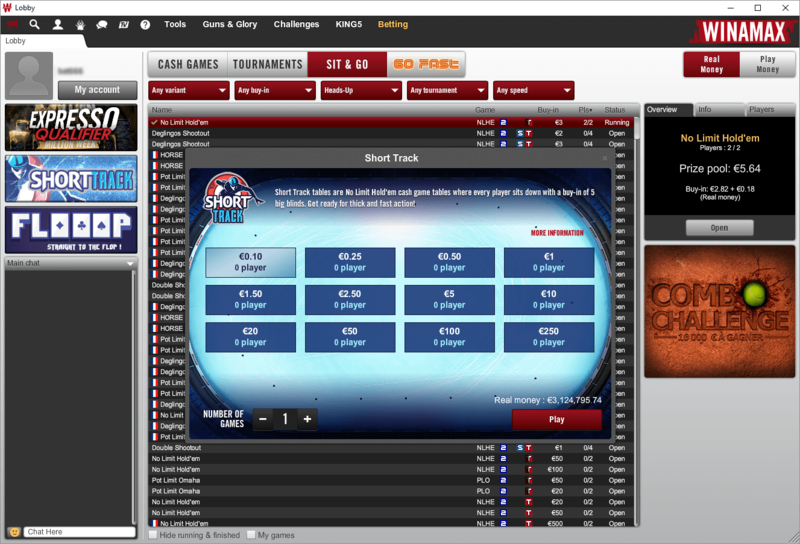 Short Track games allow you to play a quick and friendly game of poker where fun remains the key word. If you feel as though you are unable to control how much you play these games and want to take a little break, we offer responsible gaming tools exclusive to this game type.